Turning the whole NYC into a huge Kaiten-Sushi! Inspired by the Kaiten-sushi (Conveyor belt sushi) running on the belt, reminds me of race cars running on tracks. So I had this idea of having a Sushi food truck with a design of turning the whole truck into a single piece of sushi that makes the streets and avenues of NYC became the conveyor belt for these "Sushi". As I keep on developing the graphic of the sushis, I discovered the potential of a sushi becoming beautiful patterns. 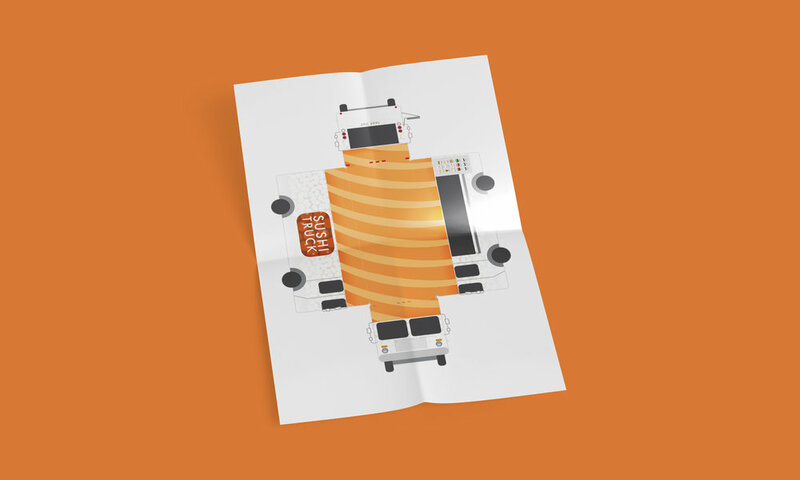 From that, I developed a series of dynamic identity for the truck. They can be applied to both the logo and the trucks. Also, as I continued playing with the graphics, I then created a second visual system for the menu. Below is the flat of the Sushi Truck, build one and have fun!